Smart me, I left my keys locked in my car so I called Mesa Locksmith AZ and they came to the place I was at!!! Thanks guys for everything I'm so happy with the service thanks!!!! Recommendable locksmith for everybody to use. Thank you guys!! Customer service was super duper nice with me, lady on the phone was sweet and the technicians were extra nice. 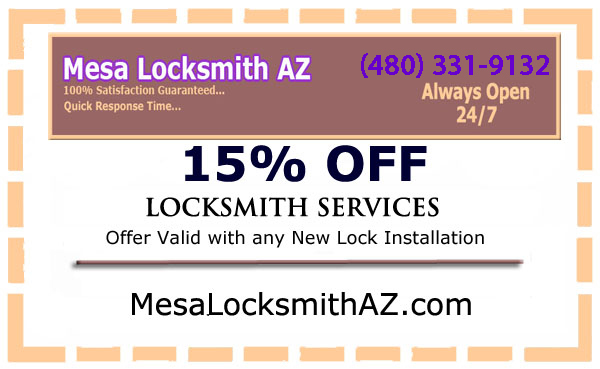 2010 � Mesa Locksmiths AZ.� All Right Reserved.